Faustin Ndikumana, Chairman of PARCEM, a local NGO involved in the changing of people’s mentality, says some major irregularities are still uncovered since the announcement of the contribution to the 2020 elections. “There are some unclear points that need to be clarified for the success of the contribution process. We really need to know the estimated cost of the 2020 elections,” he says. Ndikumana also says the government must clearly show its contribution to the upcoming elections. “Burundi government has announced that the 2020 elections will be internally funded. It must clarify its financial contribution,” he says. Ndikumana says the contribution account would also have its managers and statutes governing it for more transparency. “There is a need to establish a bill on that contribution to facilitate the control. Unfortunately, we realized that the joint ministerial ordinance is not even respected,” he says. PARCEM chairman is referring to the social dialogue that would be set up before the contribution starts but to no avail. “The civil servants have many times requested the establishment of a social dialogue but in vain. The contribution is now withdrawn from their salaries without their consent,” he says. Faustin Ndikumana urges Burundi government to specify the criteria of the contributions and shed light on all the points of contention. “Otherwise, Burundians will continue to contribute until the 2020 elections are held without knowing their estimated cost,” he says. 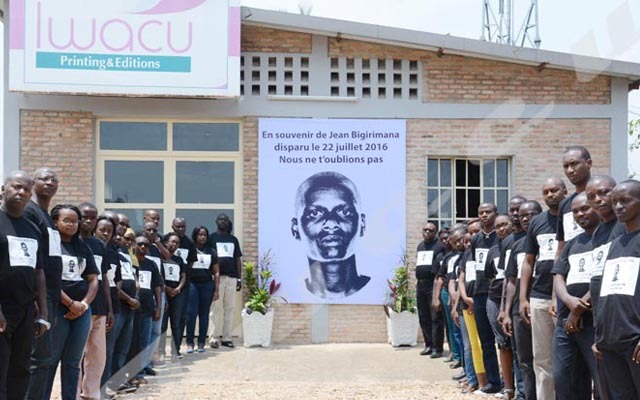 In 2015, the European Union and other partner states had suspended their financial aid to the government of Burundi for the organization of the elections, accusing the government of not doing enough to end the political crisis. Iwacu has tried to contact the Ministry of Finance for more details in vain. “The election budget must be determined by the Finance Ministry,” said Térence Ntahiraja, Assistant to the Minister of Home Affairs.